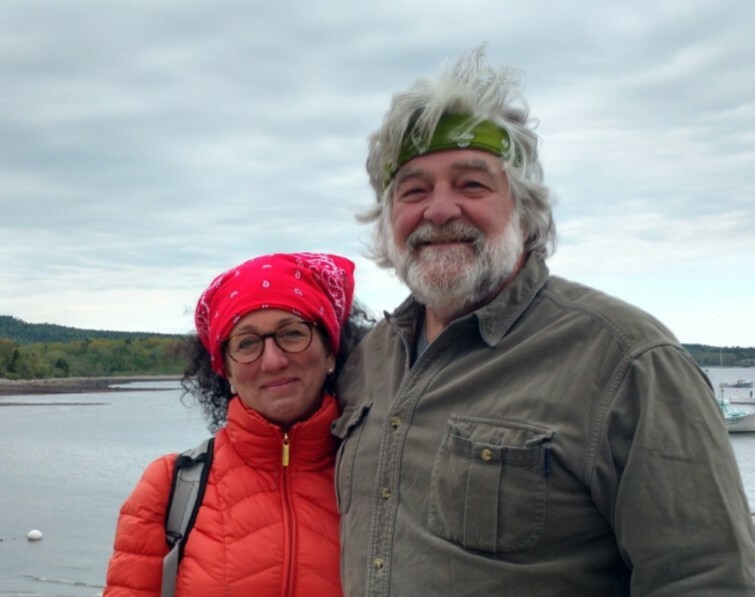 Greg Koski — We sailed the Maine coast for a season two years ago , first season with the boat, and then sailed in November across the Gulf of Maine in an unpredicted gale, 42 knots of breeze and 12 foot seas! Veneeni was comfortable and sound, sailing under double-reefed mainsail with the autopilot. We tucked into Gloucester for a couple days then headed down through the Cape Cod Canal to Padanaram, and finally to Stonington, CT where we wintered over on the hard at Dodson's Boatyard. Great place! We decided to spend second season on Long Island Sound, Block Island Sound, Narragansett and Buzzard's Bay. We did some major upgrades, including replacing both fuel tanks, a new suit of sails and upgraded electronics. We also learned the hard way where the name Stonington came from by encountering Catumb Rock while heading out through Lord's Passage! First mate Anne Fogarty and I took Veneeni to Boston in mid-November, 20 degrees, sea smoke and freezing spray, where I lived aboard very comfortably all winter at the Constitution Marina along with friends on 125 other boats. The Webasto diesel heater system was great and essential. The insulation of the cabin and hull built into the Lord Nelson really paid off, as condensation was not an issue—for much of the winter, the Weeks and Plath Lantern in the saloon was enough heat to get by comfortably! 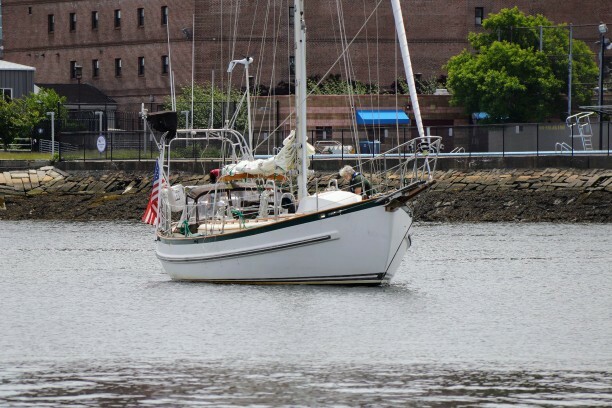 We are sailing Massachusetts Bay this season while we make final preparations to head South in October. We plan to head first to Annapolis and spend some time cruising the Chesapeake, then thinking about sailing to the Islands by way of Bermuda, probably in December. That said, the beauty of all this is that for the first time in my life, I will never again have to be anywhere for anyone else's schedule unless it is my choice. Cruising is a voyage, not an itinerary! We will keep everyone informed. We will happily receive emails at moc.liamg|ineenevlias#moc.liamg|ineenevlias. Bob Hutchinson — My Lord Nelson is hull # 49, which I bought in 1987. It is a 1986 model, equipped with a 55 hp Yanmar. It is presently moored in Pemaquid Harbor, Maine. I've made three lovely trips to the Bahamas with it, and if I could find the right woman, would take another. But age is catching up with me, I'm now 81, and know I have to sell it before too many years. I've been extremely lucky health-wise, so am still agile enough to do some sailing (In fact, I'm going out tomorrow to just "fool around" going wherever the wind takes us for the day. In the twenty seven years I've owned the boat, I've drawn attention and questions from others who look at her. I've never seen a boat (of similar size) that I'd swap her for. Tankage Water 200 gallons. Fuel 120 gallons. Accommodations Standard forward stateroom with Pullman double berth. Aft starboard stateroom with double birth. Aft port single quarter berth. Brooks and Gatehouse log, speed, wind speed and direction, depth finder. Garmin GPS, ICOM VHF and SSB, Standard Horizon VHF, Simrad heavy-duty autopilot, Furuno radar and NavNet chart-plotter with remote cockpit display, Xantrex 60 amp smart charger and Freedom HF 1800 watt inverter, AirBreeze wind generator, 200 watt Ferris solar panel, high-output 120 amp alternator with Heart Interface Link 2000-R battery monitor, 800 amp/hr battery bank (2). 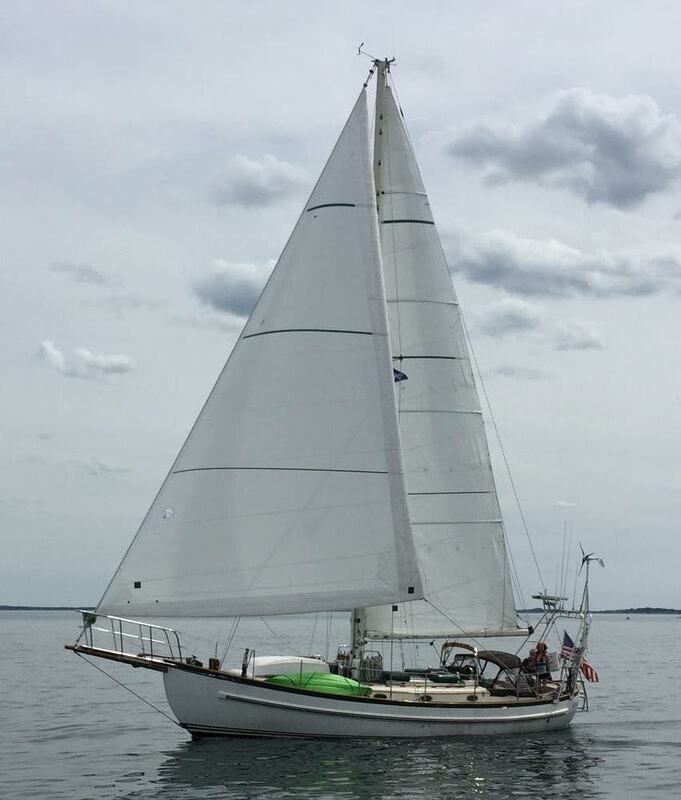 New Quantum heavy-duty offshore Dacron roller-furled yankee, reefable staysail with Wichard shackles, and mainsail, fully battened with triple reef points, custom designed and built by Steve Thurston in Bristol, Rhode Island. Sail area increased to 1267 sq. ft. to improve light-air performance. Other Features/Equipment New coated aluminum fuel tanks; 80 gallons starboard, 60 gallons port. Webasto 40,000 BTU diesel-fired hydronics heating system throughout. Mariner propane-fired three burner stove/oven/broiler, Pur 80 watermaker. TV and stereo entertainment system.